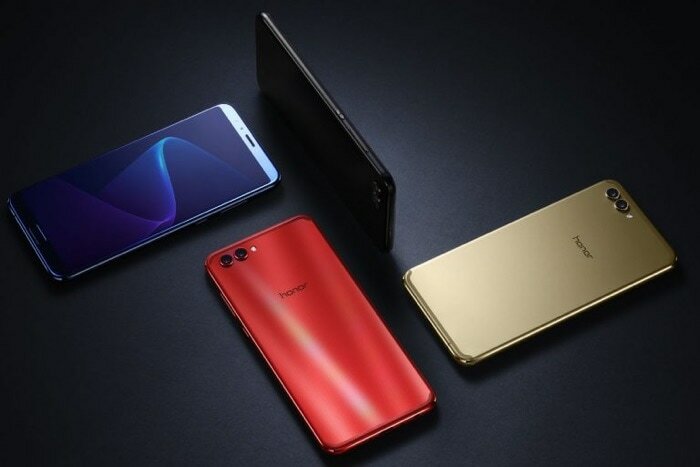 Honor has announced the launch of their latest smartphone in China, the Honor V10. The new handset comes with a 5.99 inch display that features a FHD+ resolution of 2160 x 1080 pixels. The device is powered by an octa core 64-bit Kirin 970 processor. There are two versions of the new Honor V10, one comes with 4GB of RAM and 64GB of storage, the other version of the handset comes with 6GB of RAM and a choice of 64GB or 128GB of storage. The handset is also equipped with a 3,750 mAh battery. The new V10 comes with dual SIM card slot and there are a total of three cameras on the front of the handset there is a 13 megapixel camera for selfies. On the rear of the device there is one 16 megapixel RGB camera and one 20 megapixel monochrome camera. The new Honor V10 will be available in a range of colors which include Black, Gold, Red and Aurora Blue. The handset is launching in China next month, it will be available from the 5th of December and the company is now taking pre-orders for the handset. The 4GB of RAM and 64GB model will cost 2,699 Yuan( about $410), the 6GB and 64GB model 2,999 Yuan (about $455) and the 6GB and 128GB model will cost $3,499 Yuan (about $530).